“I grew up in the matrix,” Brooklyn Brewery Brewmaster, author and beer lover Garrett Oliver jokes raising a beer glass. 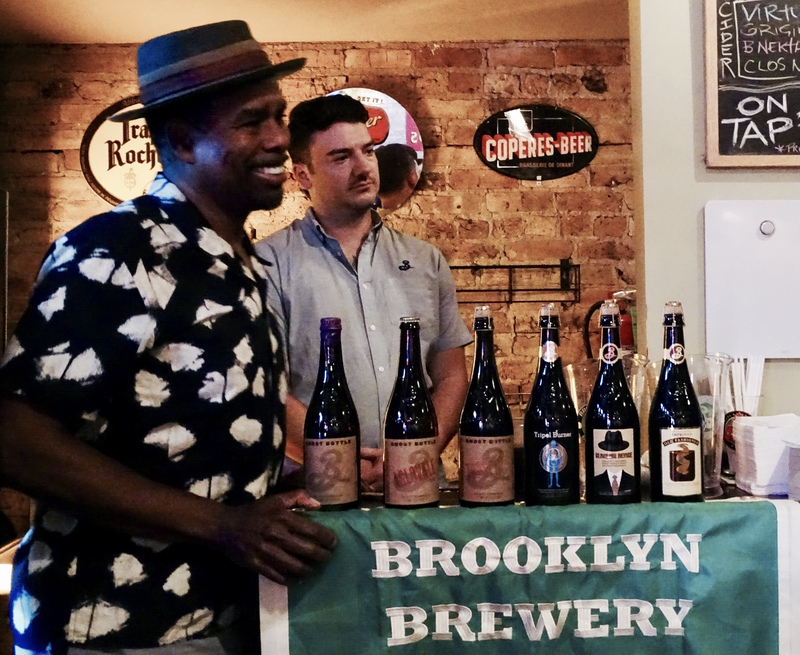 The audience takes the first sip of Brooklyn Brewery’s prototype, Chichicapa, named after a Mezcal-producing village and the brewery’s latest collaboration. “You really can taste the Mezcal,” he said. It is absolutely amazing if not weird. For fans of spicy cocktails, this is a must try. The chilled, crisp beer suddenly smacks you with a belt of smoky Mezcal heat. It stops me in my tracks. Even my seat mate seems baffled. “I can’t make out whether I’m drinking beer or spirits,” she tilts her head. Like an abusive girlfriend, it is addictive. Smokey, hot yet refreshing, I need another sip. We are sitting upstairs at the Hopleaf Bar, a Chicago institution and Midwestern mecca to craft beer. 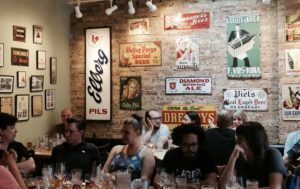 Since its expansion over five years ago, the second floor regularly hosts tasting events, including a recent Chimay beer and cheese pairing. Standing in front of a sold-out audience, Oliver introduces ten of the Brewery’s rare and obscure beers. 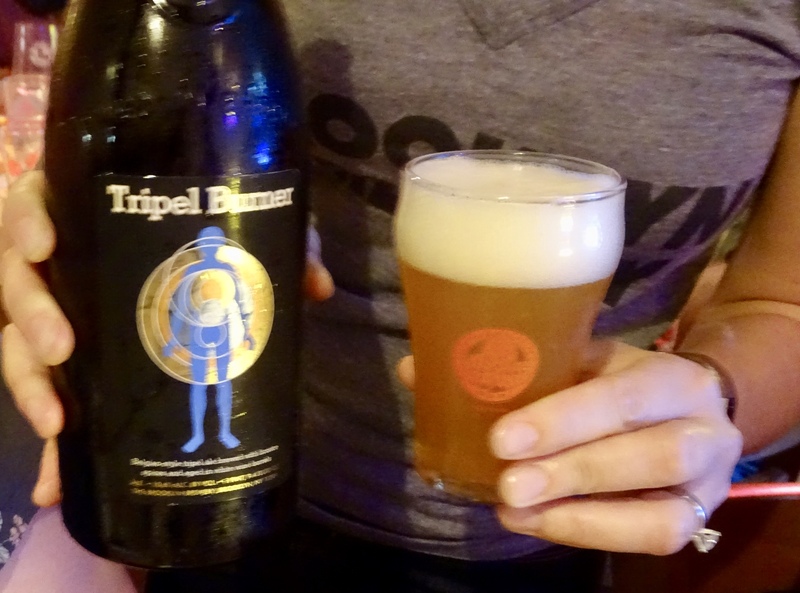 He is gregarious, witty and has traveled the world and worked with breweries in England to Japan. “I’m 400 years old,” he laughs. 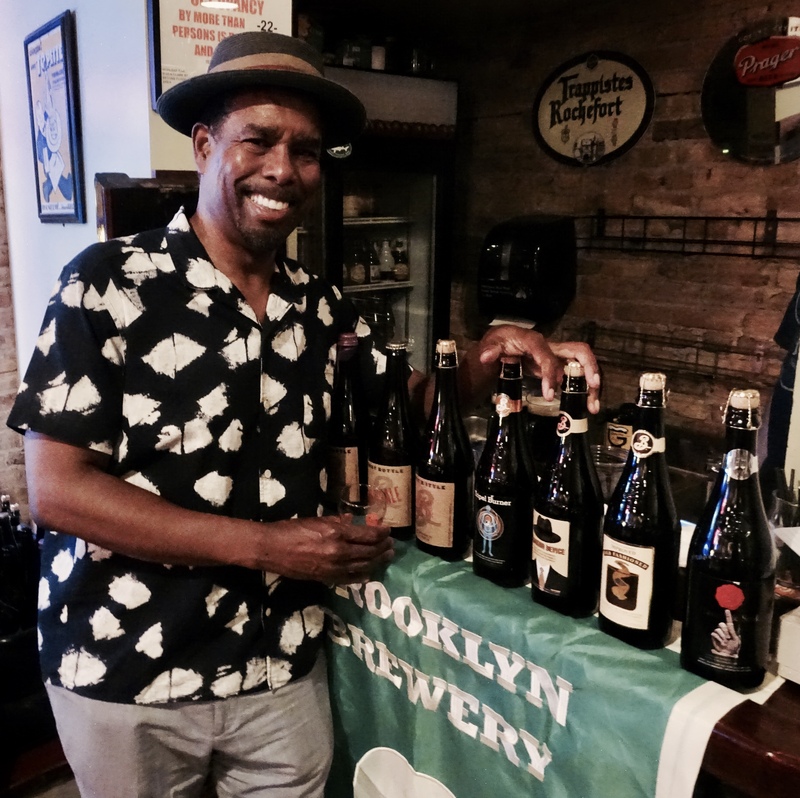 Undoubtedly Oliver is Brooklyn Brewery’s top ambassador, and even his name is as ubiquitous as craft beer itself, having hosted beer events at the Japan Society as well as having written The Brewmaster’s Table and contributed to the Oxford’s Companion to Beer. His passion for the industry stems in part of his time spent in Europe. 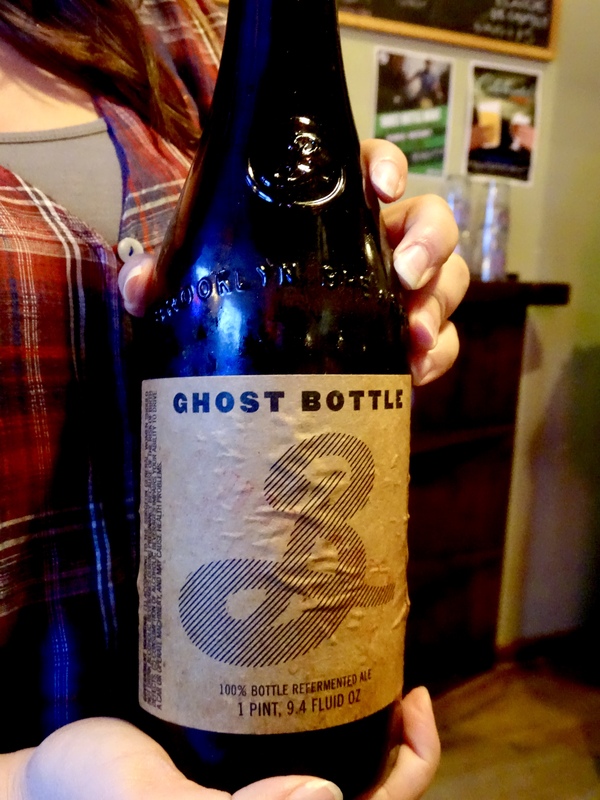 “(Ghost bottles) are like moons,” Oliver explains. Produced in small batches, they sometimes blossom or disappear just as moons do. Limited in quantity, they are not available in any liquor store, only for sampling. Having between 10 and 12% alcohol, these beers are not for the fainthearted. I’m already feeling a bit dizzy after the third pouring. And remembering the steep staircase I would have to eventually use again, I decide to pace my drinking. “Craft beer is the truth,” Oliver says while carefully distancing himself from the crazed American ultra-hoppy-till-you-break-tears pale ales, or APA. 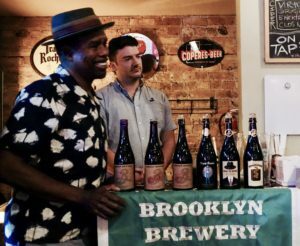 Brooklyn Brewery, according to Oliver, is not looking for punishing gimmicks or novelties. The brewery has gone a different, quirkier route than other craft brewers by conjuring up classic, comforting flavors with a twist. Like the Chichicapa I tried, the brewery’s Improved Old Fashioned also messes with your mind in a good way. While you have the texture of beer, there is no denying the classic flavors of the rye whisky cocktail on your palette. If I were blind tasting, however, I’d swear I was drinking a refreshing Old Fashioned. Oliver’s latest partnership with fellow kindred spirit and spicemaster Lior Lev Sercarz of La Boîte NYC is an ode to nostalgic Christmasy flavors and pleasant dried fruits. “Lior is a painter,” Oliver says adding that the beer is the canvas. Born in Israel, Sercarz’s love of spices came from the local street food. He has worked in some of France’s best kitchens before he came to New York to work for Daniel Boulud. He has since collaborated with the likes of Eric Ripert of the three-Michelin starred Le Bernardin and has travelled the world in search of the best spices. Their Belgian-style Tripel Burner may sound menacing, but it is a pleasant combination of black licorice, figs, pumpkin and nutmeg flavors. Other favorites of the evening could complete a perfect meal or dish. Cloaking Device, Oliver admits was a geeky name, but this porter, brewed in red wine barrels, is a rich, dark ale with a chocolaty, yeasty note. It is surprisingly lighter than it looks but is unmistakably a porter. Its sweetness, he adds, would pair well with desserts and gamey meats or charred carrots in yogurt sauce. For upcoming tasting events, please visit the Hopleaf Bar.